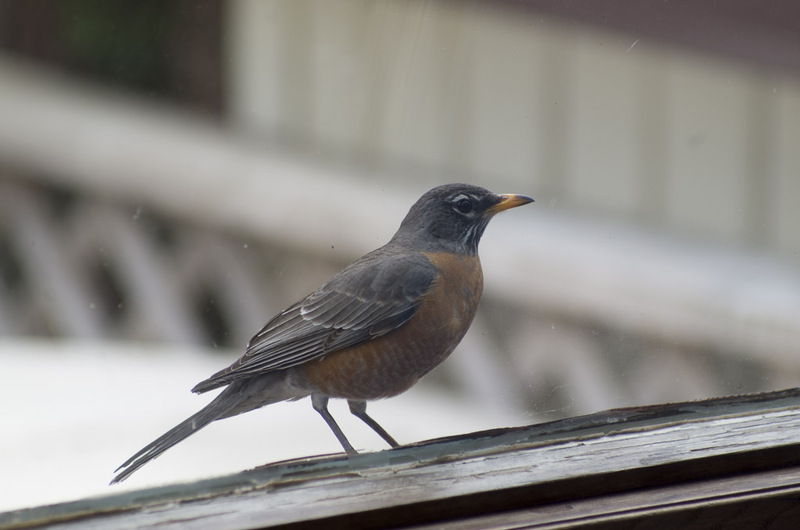 This robin walked along the window ledge, pecking at the window every so often, then it would retreat to the roof of the garden shed to fly at the window from various angles. 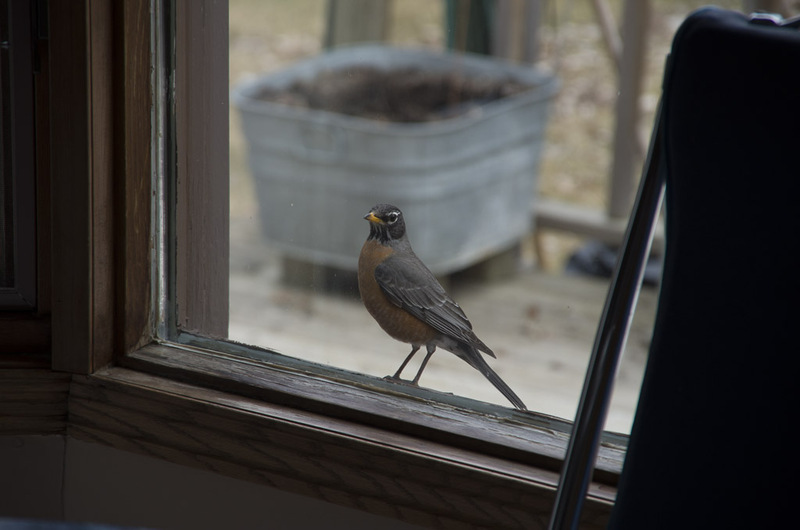 Until I stepped outside and saw how reflective the window was, I couldn't understand why the bird wouldn't accept that a glass window is impassable.Lowering the venetian blinds didn't discourage him one bit. This went on for over two hours, and he kept a close eye on the window from a nearby fence for a couple of hours after that. Bird looked into human birdhouse. For me, the first is very nice. Thanks for commenting, I'm pretty sure this specific bird (there can't be more than one robin with the same bizarre behavior, can there?) came back in 2015 and haven't seen him since. Just goes to show that natural selection is either forgiving or slow to react in some cases.